U.S. Secretary of State John Kerry said Saturday that there were still “significant gaps” in negotiations over Iran’s nuclear program, a day before talks resume. “There are still significant gaps, there is still a distance to travel,” Kerry told a press conference in London. Kerry said that members of the P5+1 group are united in attempts to broker a deal with Iran over its nuclear program. “There is absolutely no divergence whatsoever in what we believe is necessary for Iran to prove that its nuclear program is going to be peaceful,” Kerry said before talks with British Foreign Secretary Philip Hammond in London. 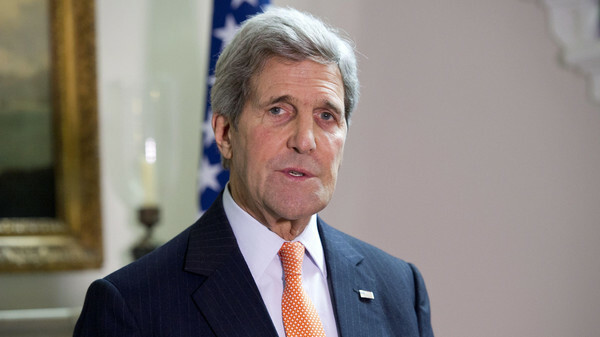 Kerry will fly to Geneva on Sunday for talks with Iranian Foreign Minister Mohammad Javad Zarif. Iran and the P5+1 group of Britain, China, France, Russia, the United States and Germany are trying to strike a deal that would prevent Tehran from developing a nuclear bomb, a goal it denies having, in return for an easing of punishing economic sanctions. Zarif and Kerry will hold two days of discussions from Sunday after their diplomats begin bilateral talks on Friday, Iran’s deputy foreign minister Abbas Araqchi said. The talks aim to “continue to make progress” ahead of a March deadline for a deal, added State Department spokeswoman Jen Psaki.